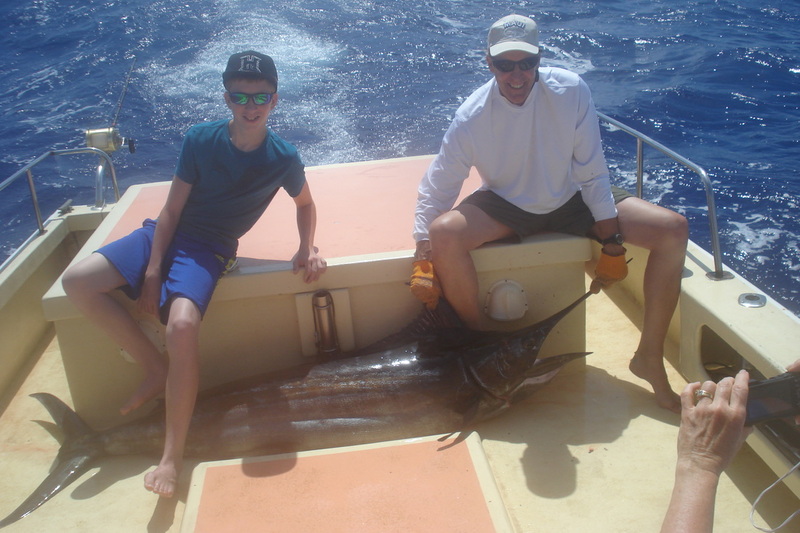 This was a great trip and caught the unexpected rare sail fish.These species of fish are not as common in Hawaiian waters as other bill fish here like Pacific blue Marlin,Striped Marlin and Short Billed Spear Fish. Thanks & Aloha ! For this spectacular catch. 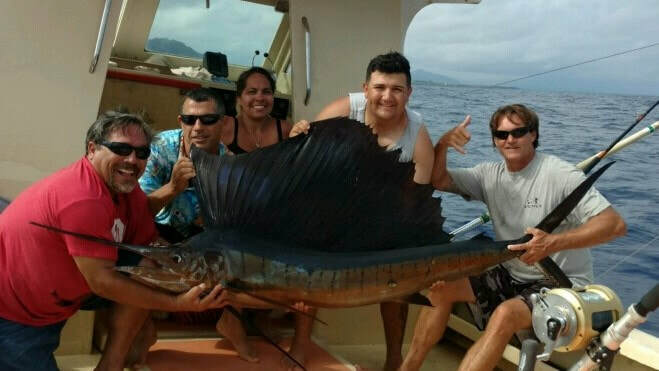 Summertime fishing is in full swing with lots of beautiful fish.Thanks to all my great clients for your continued support and for all the referrals.At times this can be a challenging business with lots of variables.Groups of people like these will always be the reason to FISH ON ! Great Client, Great Trip ! 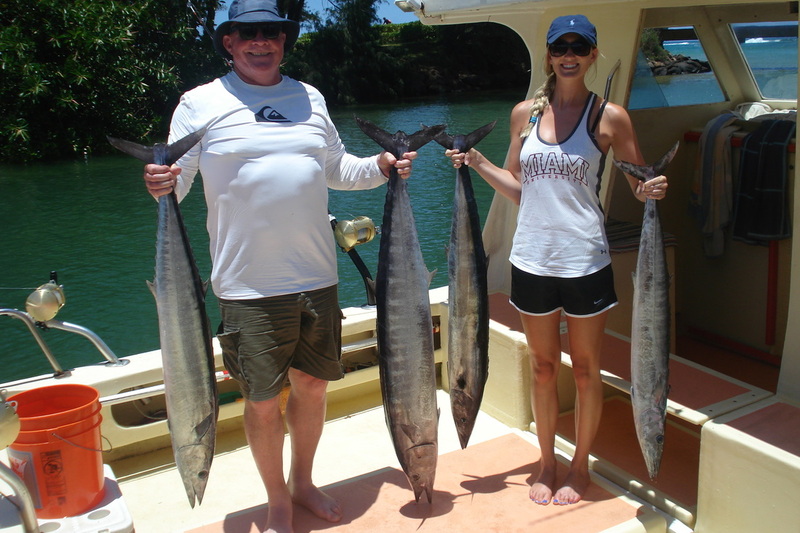 Awesome day on Kauai's east side . 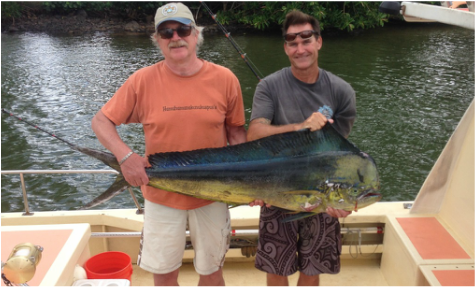 Pictured here is a nice 38.5 pound Mahi mahi also called Dolphin or Dorado.Thanks and Aloha to all the great clients ! 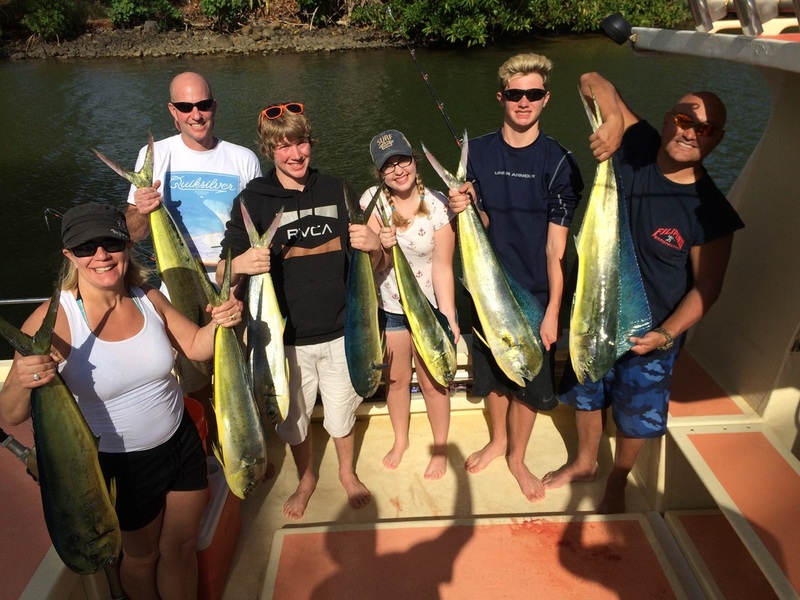 Here is another happy group from a recent trip.Come experience fishing in warm tropical blue water off the Royal Coconut Coast outside Kapaa, Hawaii. Thanks & Aloha to all the great clients! 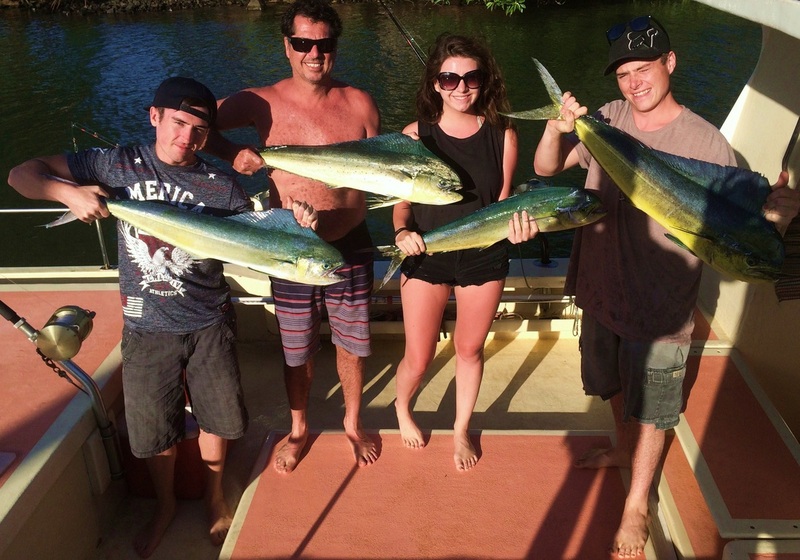 Great Fishing ! Great Clients ! Thanks to these great clients for making my job tons of fun. Perry & family from California & Jack & son from Alaska you guys are the BEST ! Lot's of Aloha ! 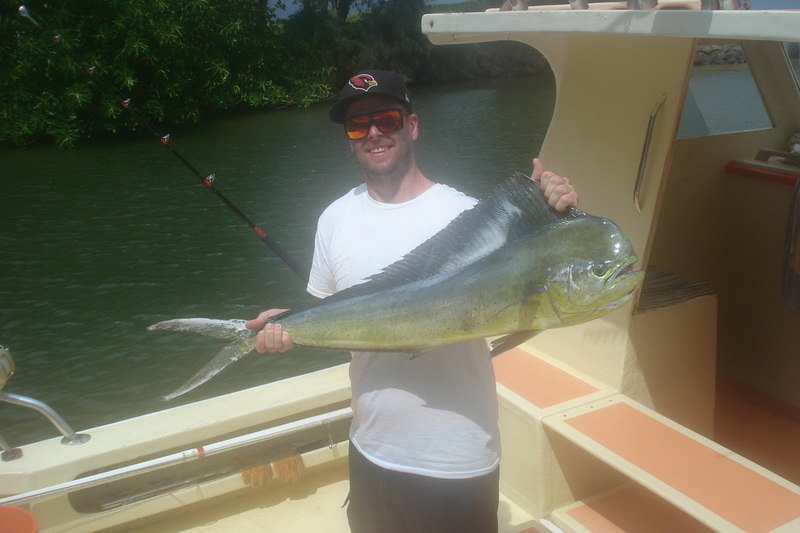 Winter is here and fishing is good with warm tropical conditions. 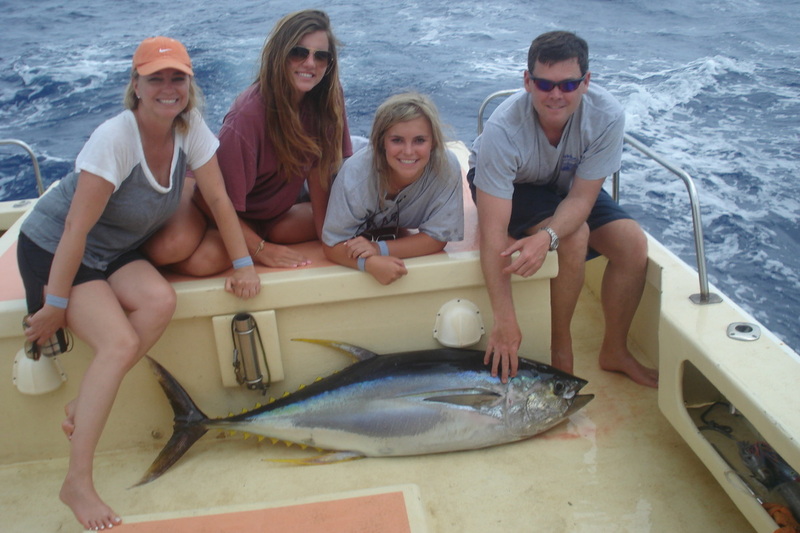 It is always enjoyable to be out on the ocean with so much life and so close at hand as our ocean depths drop to thousands of feet within minutes from the harbor. Big Mahalo & Lots of Aloha to all the great clients! 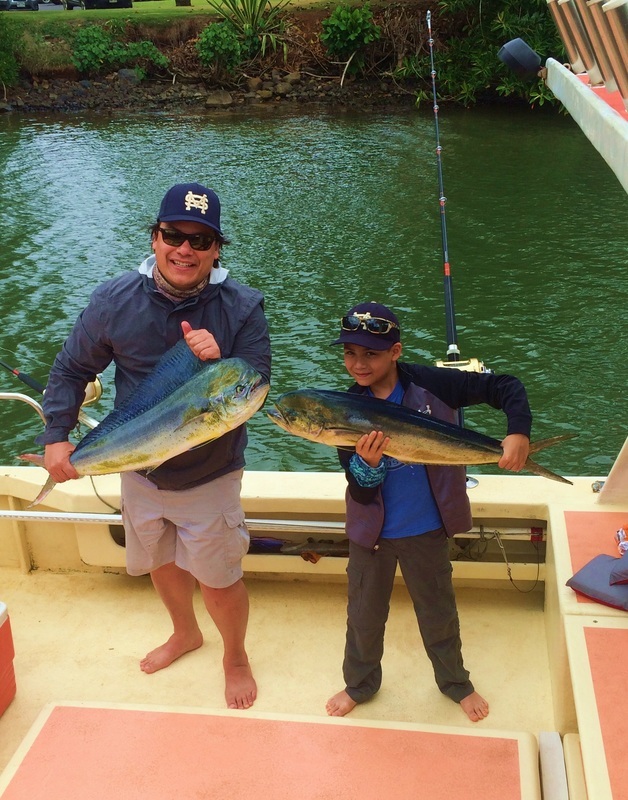 Kauai's east side fishing from Kapaa. 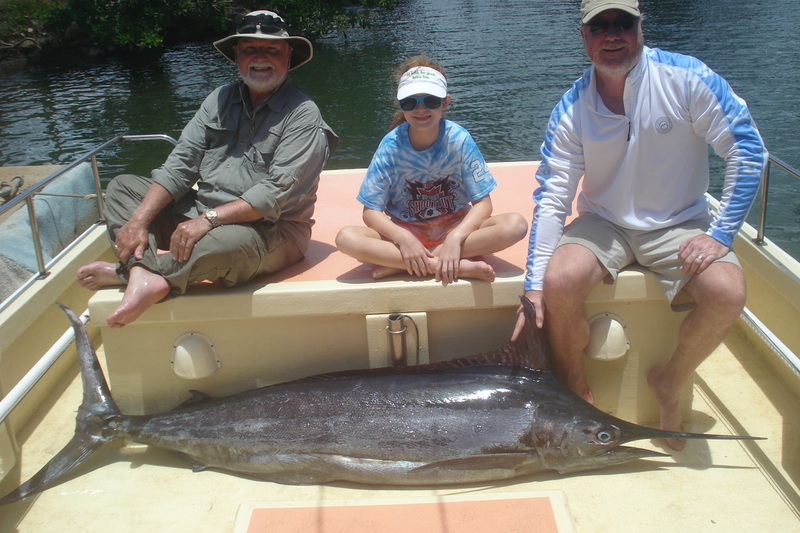 Sport fishing is an amazing experience and can be one of the most exciting activities to do here. 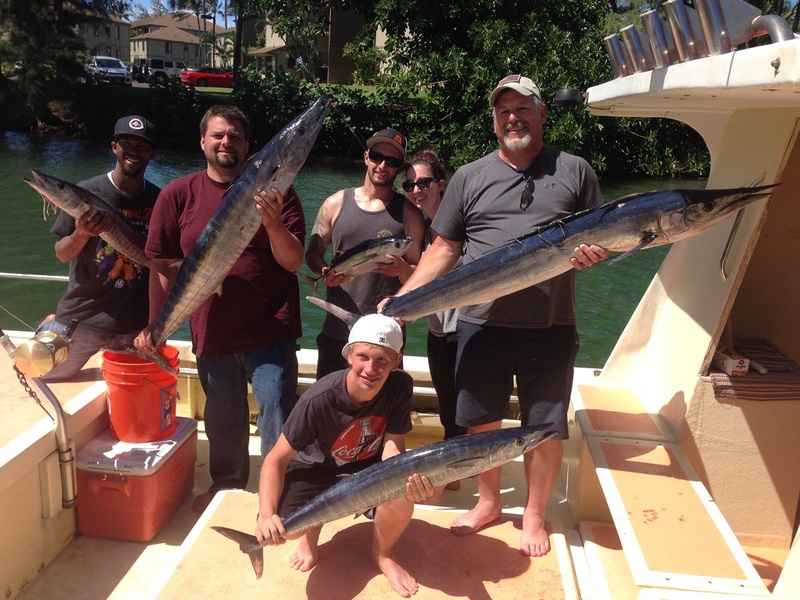 Summer time is an extremely good time of year to be out fishing. 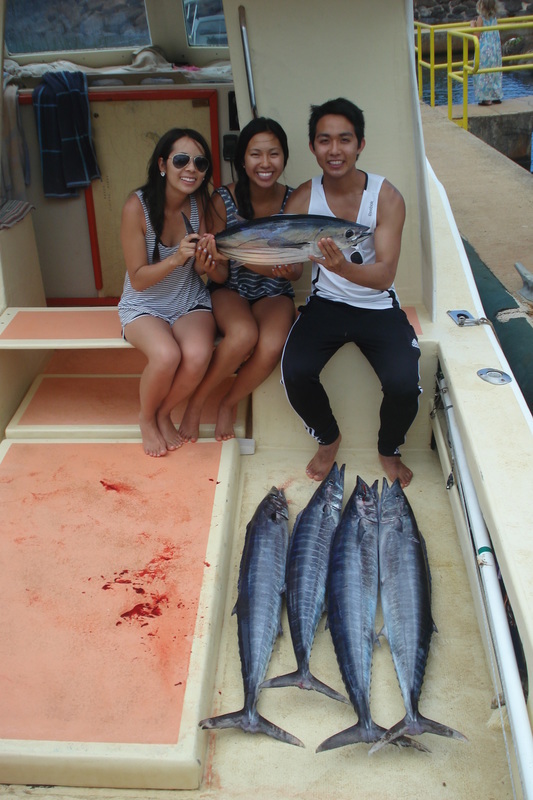 Please contact us here at Island Fishing Kauai 808-823-0515 and hook the memory of a lifetime.